Gary was born in Kansas City, Kansas from the union of Jack Stratton, a California native and Elizabeth, his wife, a native of Missouri. He grew up in the San Francisco Bay Area and graduated from Humboldt State University before moving to Taipei, Taiwan, to attend the National Normal University. He joined Union Transportation, a Taiwan forwarder, in 1973 and was sent the following year to open an office in New York City. In 1977 Gary left the forwarding industry to work for a garment and accessory importing and exporting company as their logistics manager. In 1980, Gary, his wife, and his son relocated to the San Francisco Bay Area where he took up a career as Export Manager at International Customs Service (which eventually became Ryder International Freight & Customs Service). He rose to the position of Operations Manager and licensed Customs Broker before leaving in 1987. 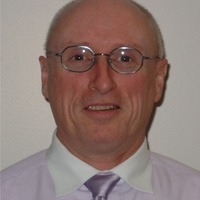 He later joined Daher America (which became USF Worldwide some years after) as Branch Manager and became active in industry associations serving as a Board Member of the Customs Brokers & Freight Forwarder’s Association of Northern California and as Export Program Chair and General Program Chair for the Western Cargo Conference. Gary joined Norman Krieger, Inc. as Los Angeles Branch Manager in 2003, relocating to Los Angeles to further his career eventually becoming Vice President & General Manager. He has served as a Board Member of the Los Angeles Customs Broker’s & Freight Forwarder’s Association and has been active with the Pacific Coast Council in their Mission to D.C. each year and various other initiatives to improve trade facilitation.